Each season, organic and conventional growers struggle to control disease and insect pressure within their garden. The arrival of pests can be quite distressing, especially when it begins to threaten the health and vigor of vegetables and flowering plants. While many choose to implement chemical controls, other gardeners may prefer and search for organic options to resolve these issues. One such control measure, the use of beneficial insects, is one which has shown to be especially popular for growers wishing to take a more natural and hands-off approach. But how do you get these garden friendly bugs into your garden? Beneficial insects can greatly improve the overall health within the garden. When planning each season, many growers intentionally choose varieties of flowers and herbs that will naturally attract large numbers of these garden helpers. Composite and dense cluster flowers, which are rich in nectar, allow the garden to become a welcoming and vibrant habitat able to sustain great numbers of beneficial insects. Many of these, such as ladybugs and lacewings, are then able to feed on other not-so-good insects within the garden. Without the use of chemicals, many beneficial insects are able to feed and multiply, creating a rich and sustainable garden habitat. 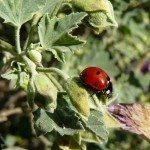 Can You Buy Beneficial Insects? In addition to attracting beneficial insects naturally through flower plantings, many growers may begin to wonder about buying good bugs and releasing them into the garden. The decision to purchase beneficial insects is one that must be made with research and careful consideration. Buying beneficial bugs online and in local nurseries is a simple process. However, it is important to do so in a responsible manner. Many beneficial insects, ladybugs especially, are wild caught. In this, it is possible for these insects to introduce disease and parasites into existing populations in the garden. Beyond this, the release of beneficial insects does not guarantee success. Many bugs may even fly away or leave the garden upon release. Determining the manner in which the insects are obtained, as well as paying special attention to their needs will help to ensure the best results. By properly researching the purchase of beneficial insects for the garden, growers are better able to make informed and environmentally responsible decisions for the welfare of their gardens.